The Boulingrin covered market in Reims, in France’s Champagne-Ardenne region, originally opened in 1929. It is an example of reinforced concrete pushed to its limits by pioneering engineer Eugène Freyssinet (1879-1962), to the designs of architect Emile Maigrot (1880-1961). The soaring enclosed space still exhilarates the visitor. Though listed as a historical monument in 1990, the market building was disused for a number of years, until the Ministry of Culture and Communication and the Municipality of Reims decided to finance a renovation project. Now the building once again serves as a lively market place, and in addition new cultural applications, such as temporary exhibitions, are being developed. 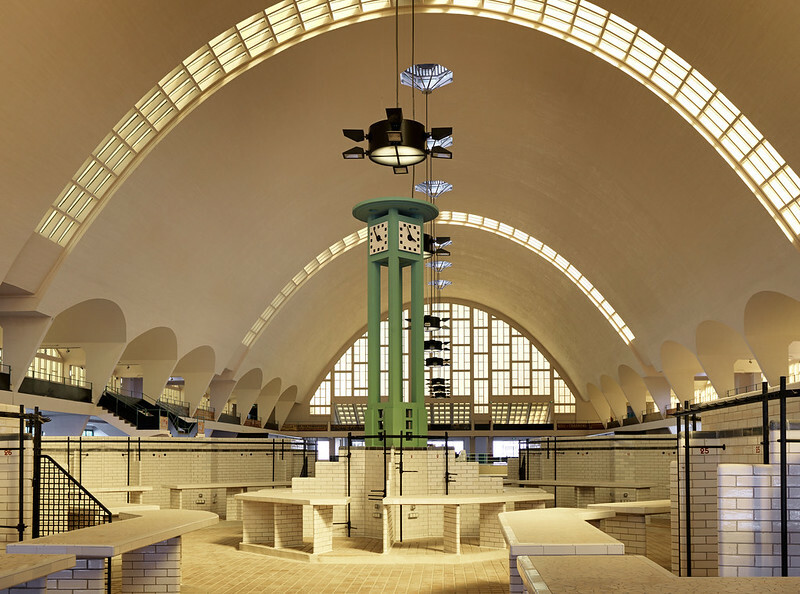 The restoration project has sought to enhance the exciting engineering ambitions of the Boulingrin market hall’s creators, like the re-establishing of the outstanding concrete’s vault, in order to achieve the same lightweight elegance as Maigrot and Freyssinet’s original project. In giving an award to the Boulingrin Market Hall in Reims, the Jury wanted first of all to pay homage to the courage of the decision, more than twenty-five years ago, to save this exceptional example of 20th century commercial architecture and reinforced concrete construction. The complex and painstaking repair work has not only restored the primal energy of the design, but also reinstated its original market functions, bringing vibrant new life not only within Maigrot and Freyssinet’s cavernous structure, but also throughout the surrounding neighbourhood.